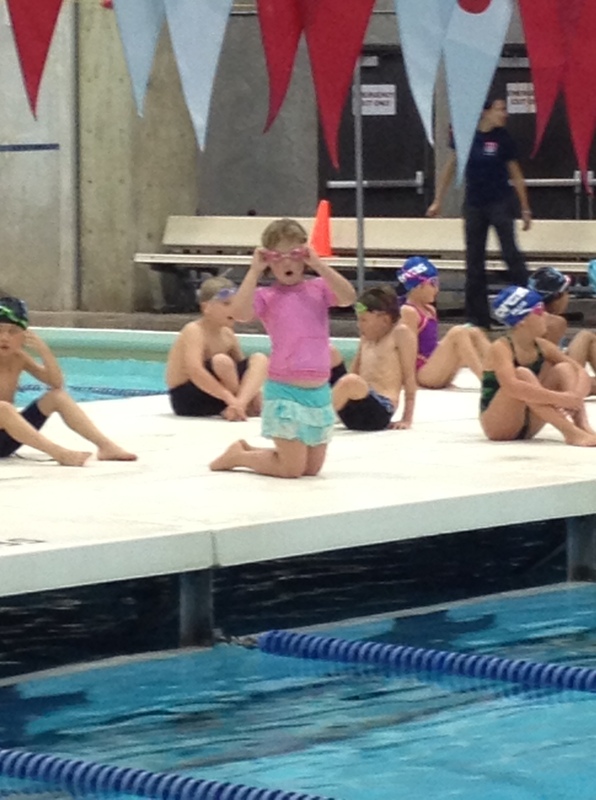 Trixie (5) was in her first swim meet last night. It took some coaxing, but she was up for it in the end and was so excited to participate. 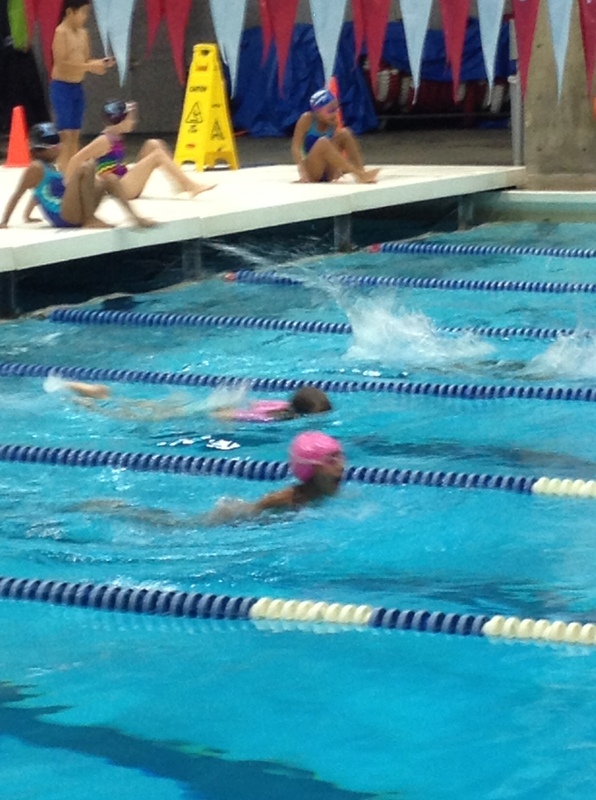 All day, I was waiting to be able to see her swim in five different races. I could hardly wait. Except … being a doctor stepped in. Like it almost always does. Although I am not a particularly spiritual person, I pray that someday my own children will have the compassion and forgiveness to understand that I was a fallible parent and that many times, circumstances out of my control intervened and I could not be where my heart was. Her first event came and went. Her second event came and went. Her third event came and went. Her fourth event came and went. There was no sixth event. But I made it! I got to see her swim. Race #5 was excellent. 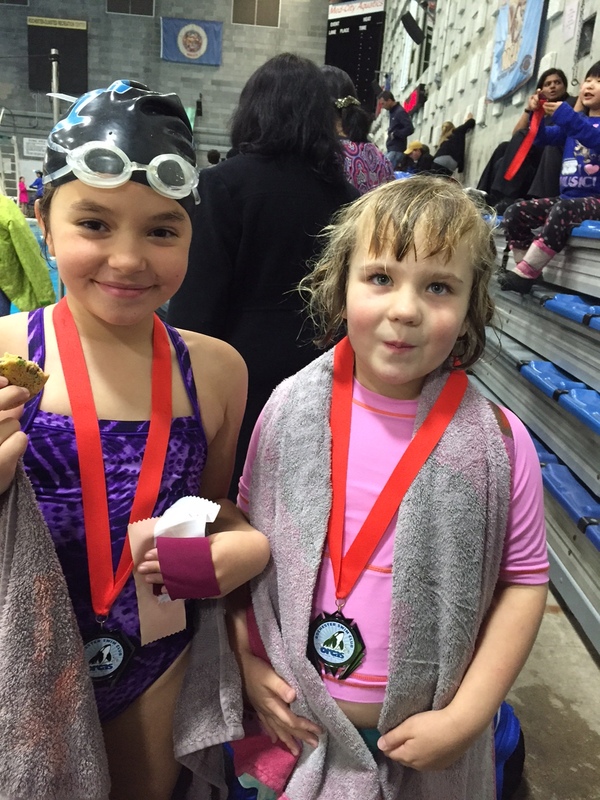 She placed sixth (out of six), but she was so proud. Go, Trixie! We celebrated with hot chocolate. Kate requested that I sign her up for swim team this year. But I could not convince her to try a meet. I brought her to watch one a few weeks ago to see if that might help. I am secretly glad she was unconvinced. It was like watching paint dry in a sauna. Glad your little one liked it!